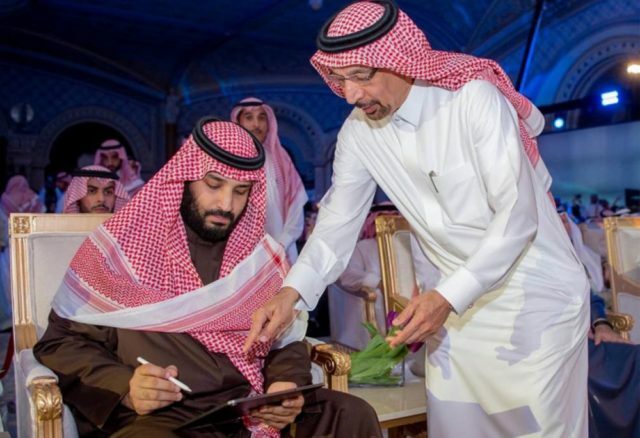 To kickstart the 12-year programme, the Gulf state announced the signing of 37 agreements worth $55 billion with foreign and local investors at a ceremony attended by Crown Prince Mohammed bin Salman. The programme is part of the kingdom’s 2030 Vision, the brainchild of Prince Mohammed, that aims to diversify its economy which has been heavily dependent on oil prices. Since the launch of Saudi Vision 2030, mega projects worth hundreds of billions of dollars have been announced in the Middle East’s largest economy but implementation has been slow. Energy Minister Khalid al-Falih, speaking at the Ritz Carlton in Riyadh, said the investments would be made in the fields of industry, mining, energy and logistics. The aim is to create 1.6 million new jobs, boost non-oil exports by $267 billion a year and add as much as $320 billion to gross domestic product, almost 40% of last year’s GDP, he said.